This is one of the adults that emerged from the adjacent pupae. Pretty certain this lovely specimen belongs in the genus Lucidota. Lucidota altra looks most like it in Dillons. Thanks, but larvae might not be. I now question my choice to show what the larvae looked like by using photos of two other larvae. There certainly could have been important differences between those and the larvae that actually pupated (photos above). I need to make a study of lampyrid larvae to see if I can detect species differences. 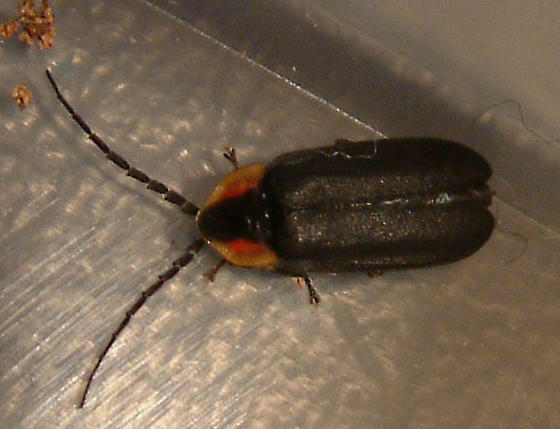 One reason for my suspicion that the larvae could be from a different species is that the adults that emerged from pupation are *not* the most prevalent species of lightning beetle in this region.